alt=”blackberry blisscakes”>After our morning coffee and breakfast, we got to work on bringing energy efficiency to Andersonville. We were able to go into a lot of really unique businesses, such as The Brown Elephant, George’s Ice Cream and Sweets, and Cheetah Gym. 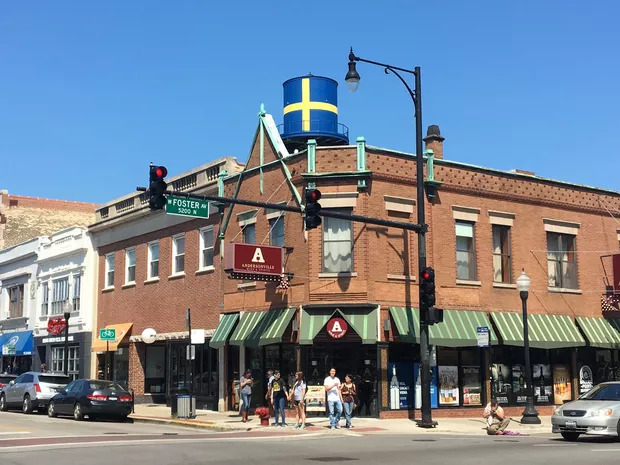 We were able to talk to a lot of business owners about how the combination of the ComEd Energy Efficiency Program and the Andersonville grant could help them tremendously with the transition to energy efficient options for their business. We were so happy that we were able to inform hard working business people of ways for them to save money and invest their money into business growth, not their electricity bill.